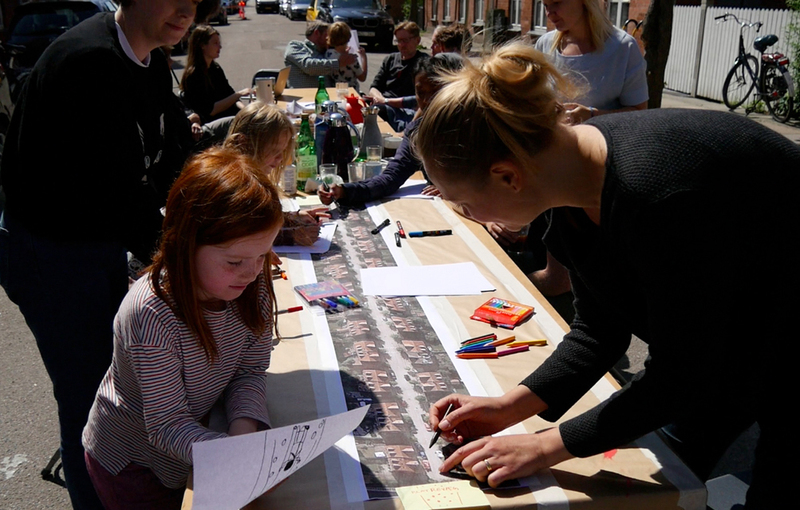 A collaborative project about the transition to green mobility and the creation of green streets in Copenhagen, including a one-year pilot project, by Henrik Valeur, Bureau Detours, CONCITO, Roskilde University and Aalborg University. Through the discussion of challenges and opportunities and the development of ideas and visions, the project seeks to contribute to an inspiring and informed debate about Copenhagen’s future development and the formulation of long-term strategies and objectives for this development aimed at reducing the city’s environmental impact and making it more climate resilient, supporting innovation and entrepreneurship, promoting solidarity and community feeling, as well as improving public health and well-being. 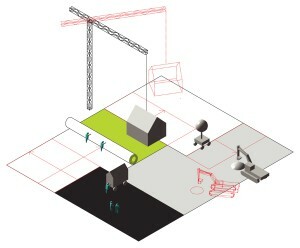 Proposal for a cross-cultural exchange project between schools of architecture from across the globe by Henrik Valeur. The objective of this project is to probe the potential of cross-cultural collaboration in architecture and to discuss how architects can contribute to the achievement of the Sustainable Development Goals through various approaches and practices, tactics and strategies aimed at serving the deprived rather than the privileged. 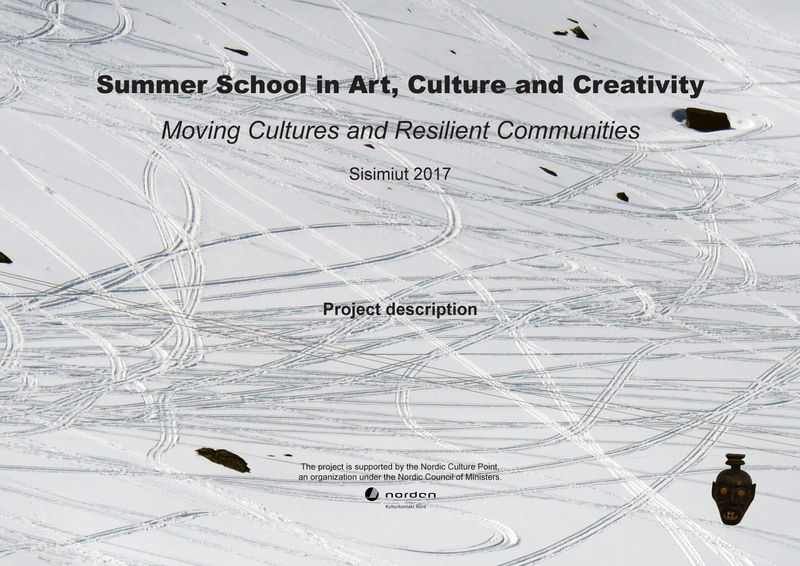 Proposal for a summer school in art, culture and creativity in Sisimiut (Greenland) by Henrik Valeur and Malmö University. 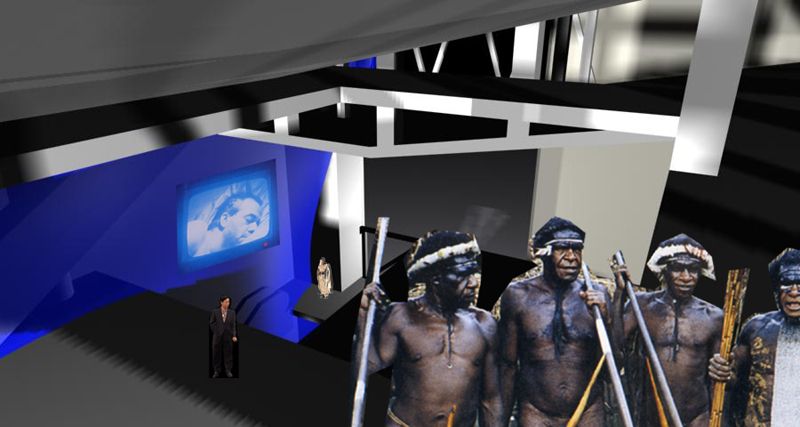 Initial concept by Henrik Valeur and artist Dorte Dahlin. 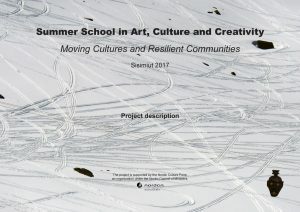 With more and more people on the move – traveling, migrating or fleeing – creating ever more competition and conflict, we see a need to experiment with new forms of collaboration and new forms of co-evolution – learning from the cultures of each other and from the cultures of those who came before us. Proposal for think-tank on development urbanism by Henrik Valeur. The Institute of Development Urbanism is a cross-cultural and interdisciplinary think-tank concerned with the urban transition of the so-called Global South. 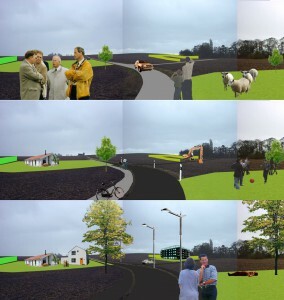 The aim is to raise awareness of the challenges and opportunities related to the transition from rural to urban society and to influence this transition in a culturally vibrant, environmentally friendly, human healthy and socially just direction through cross-cultural and interdisciplinary collaboration, exchange and interaction that may also inform and inspire the sustainable transition of the Global North. Development project by Henrik Valeur, Harman Preet and Sameera Sneha. Developed at Shrsti Space™ in Bangalore. Each dwelling unit is delivered as an open frame structure, including floor plates and staircases. The residents fill out the frames themselves. Thus, to begin with, many units may be open or only rudimentarily enclosed with blankets or tarpaulins. Gradually, the frames are to be filled out with different solid materials according to individual preferences and possibilities. Eventually, each dwelling will have its own individual appearance, like many of the traditional and self-built houses in this region. Case study to assess the potential benefits of revitalizing the waterways of Bangalore by Henrik Valeur and Center for Infrastructure, Sustainable Transportation and Urban Planning, Indian Institute of Science. Bangalore’s interlinked system of waterways and water-bodies constitutes a unique feature of – and a huge potential asset for – the city and its citizens. Cleaning up and maintaining the waterways clean is a precondition for having clean water-bodies, and doing so could also serve to provide livelihood opportunities for poor people living there while making these areas attractive to other segments of society, also. Clean waterways could be used to promote “healthy mobility” by providing connectivity for pedestrians and cyclists between home and work, as well as connectivity to mass transit hubs and other important points in the city; and they could be used to promote “healthy lifestyles” by providing recreational facilities and spaces for social interaction. Apart from being important storm water drains that help prevent flooding, the waterways could also be used to enhance biodiversity in the city and to create wildlife corridors. Floor-plan concept for the world’s most energy efficient large-scale office building by UiD/Henrik Valeur and Sarvdeep Singh Sangwan for the Paharpur Business Center, New Delhi. The self-organizing green office space is made of moveable “green walls”, which purify the air and contribute to a de-stressing work environment. 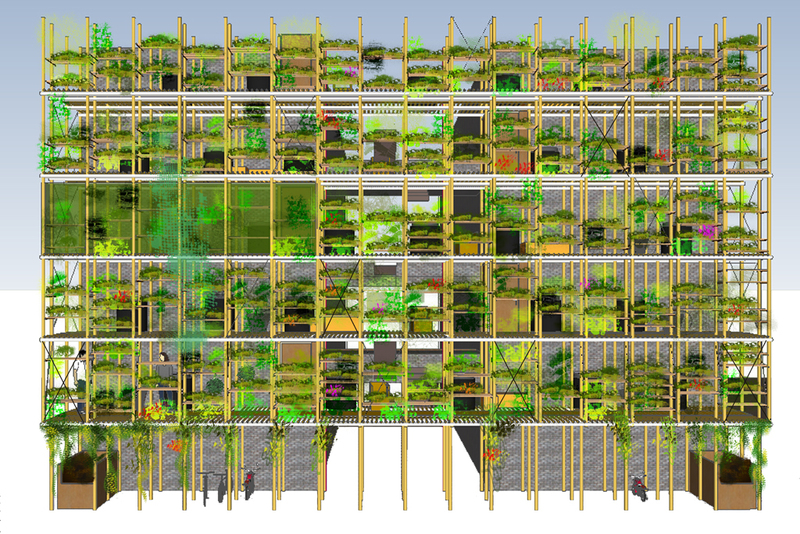 Proposal for vertical kitchen gardens in a rehabilitation colony in Chandigarh by Henrik Valeur, Harman Preet and Sameera Sneha in collaboration with Rico Zook (Itinerant Permaculture). Initial concept by Henrik Valeur and Arshinder Kaur for Eco & Agro Resource Management (NGO). Community kitchen gardens are proposed to make inhabitants of the Dadu Majra Rehabilitation Colony less vulnerable to fluctuating food prices and insecure food supply and to reduce the need for government subsidies. In addition, community kitchen gardens may help create social cohesion and respect for the environment. 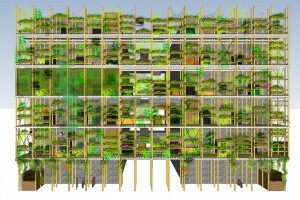 With limited availability of land, kitchen gardens are envisioned as vertical, scaffolding-like structures. Proposal to make a sector in Chandigarh car-free by Henrik Valeur, Harman Preet and Sameera Sneha. 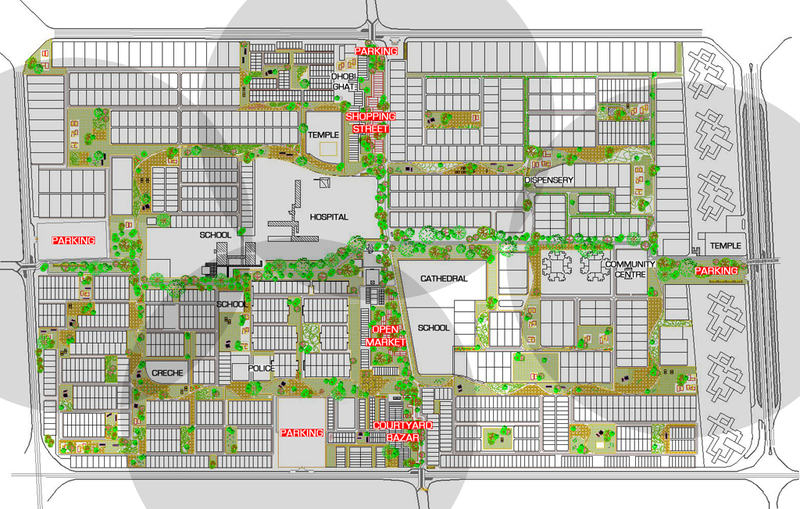 Initial concept by Henrik Valeur and Chandigarh College of Architecture for the 2030 Master Plan of Chandigarh. Commissioned by the Administration of the Union Territory of Chandigarh. We have to use existing space more efficiently – and make better use of it. Today, a lot of space is used by cars, but cars are neither good for the environment nor for our health or safety. Proposal for a coherent system of bicycle and pedestrian pathways by Henrik Valeur and Chandigarh College of Architecture for the 2030 Master Plan of Chandigarh. Commissioned by the Administration of the Union Territory of Chandigarh. Open international competition for the streetscape around the Hong Kong New World Tower in Shanghai, P.R.China. Proposal by UiD/Henrik Valeur, Rebecca Zelwak, Sarvdeep Singh Sangwan and Zhang Meng. The Streetscape in the New World consists of both the existing streets for consumption and distribution and new platforms for recreation and creativity. They will provide places for communication and social interaction, but they will also provide people with new and surprising perspectives of the surroundings. The platforms are light steel structures that can easily be adapted to different contexts, modified and replaced. Traffic plan for bicycles in Malmö (Sweden) by UiD/Henrik Valeur, Fredrik Fritzson and Martin Vozzi. Commissioned by the City of Malmö. To improve safety and accessibility for bicycles, and to provide them with new experiences and possibilities, we propose to gradually remove all motor traffic from selected streets of Malmö, and to fill these streets with various activities and functions, greenery and even new buildings. In this way we intend to create a more coherent urban fabric where soft traffic and the activities and functions of the city are better integrated. Traffic plan for Shanghai (P.R.China) by UiD/Henrik Valeur, Rebecca Zelwak, Sarvdeep Singh Sangwan, Qian Jieyan, Zhang Meng and Xia Zhen in collaboration with Prof. Pan Haixiao. Commissioned by the Institute de Ville en Movement, Urban China and Tongji University. The elevated highway is a unique feature of Shanghai. 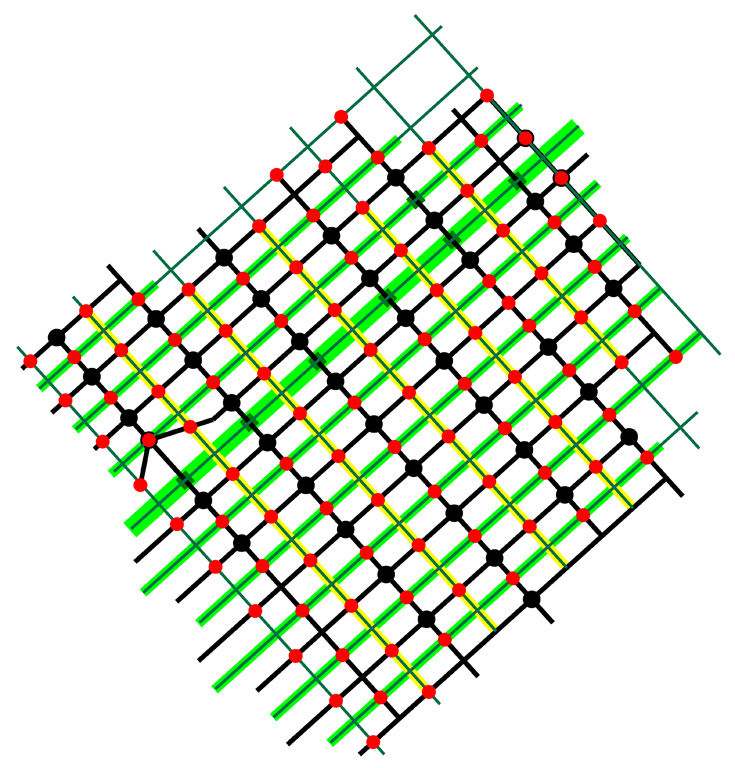 If the grid of elevated highways is expanded and parking buildings are constructed at frequent intervals to ensure short walking distances to anywhere in the neighborhood, all car traffic could be removed from the streets on ground level and the existing green areas could be vastly increased! Project for future bicycle parking in Malmö (Sweden) by UiD/Henrik Valeur, Fredrik Fritzson, Rebecca Zelwak, Sarvdeep Singh Sangwan, Ma Liang, Zhang Meng and Xia Zhen. Comissioned by the City of Malmö. 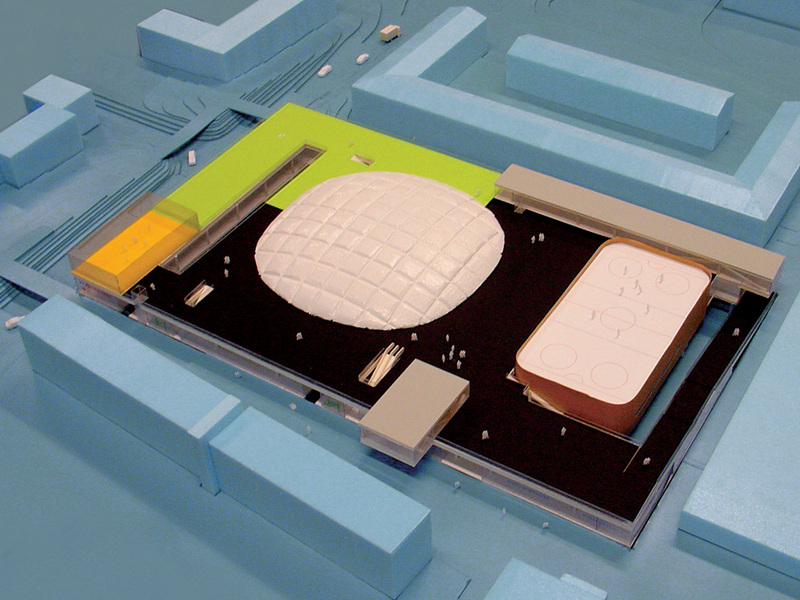 Exhibited in the Pavilion of Malmö City in the Urban Best Practice Area of the World Expo 2010. How do you make it more attractive for people to take their bike to the metro station – and thereby making the metro more popular? You make it as easy and safe as possible to park your bike at the station! 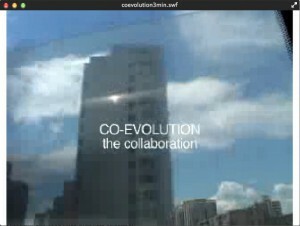 Open international competion on 500 m3 work-live units for artists in Beijing, P.R.China. 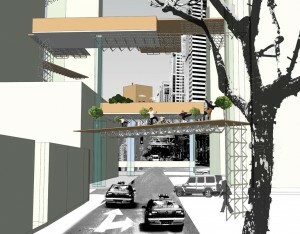 Proposal by UiD/Henrik Valeur and Ma Liang. 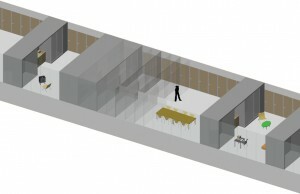 The manifold structure divides the 500 m3 unit into two spaces. One space (above) is primarily used for work. This space has large glazing on two sides, providing plenty of daylight and exposure of exhibits and of the work process. The other space (below) is primarily used for living. This space is enclosed and has only a few windows to provide sufficient privacy. Structure plan and process manual for the development of a 25ha brownfield site in Roskilde (Denmark) by UiD/Henrik Valeur, Fredrik Fritzson, Esbjörn Kjell and Ma Liang. Commissioned by the Municipality of Roskilde. 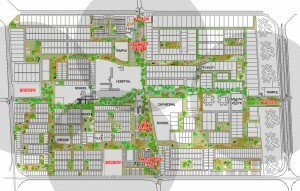 The former industrial site is envisioned to become a highly mixed new city district, which will be marked by continuous change and development. The visions were developed in a scenario game in which various stakeholders played the roles of future users. 20 minutes documentary film. Commissioned by DAC | Danish Architecture Centre. 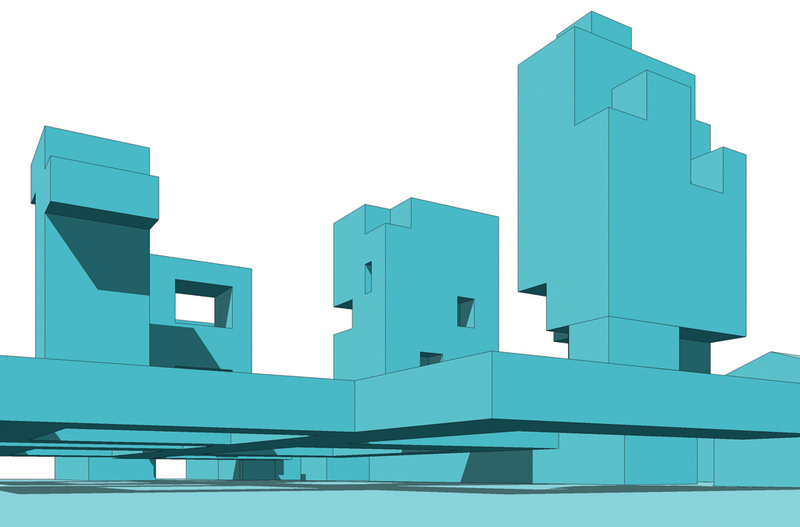 Open international competition for a collective house and a sports center in Tensta, Stockholm, Sweden. Proposal by UiD/Henrik Valeur, Fredrik Fritzson, Jonas Ruthblad and Søren Chr. 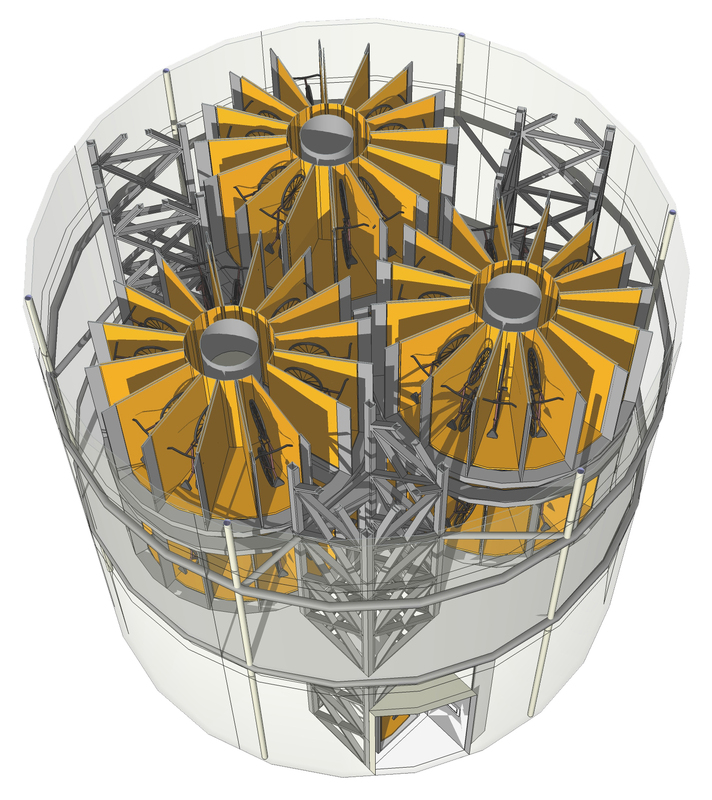 Madsen in collaboration with consulting engineer Ole Vanggaard. 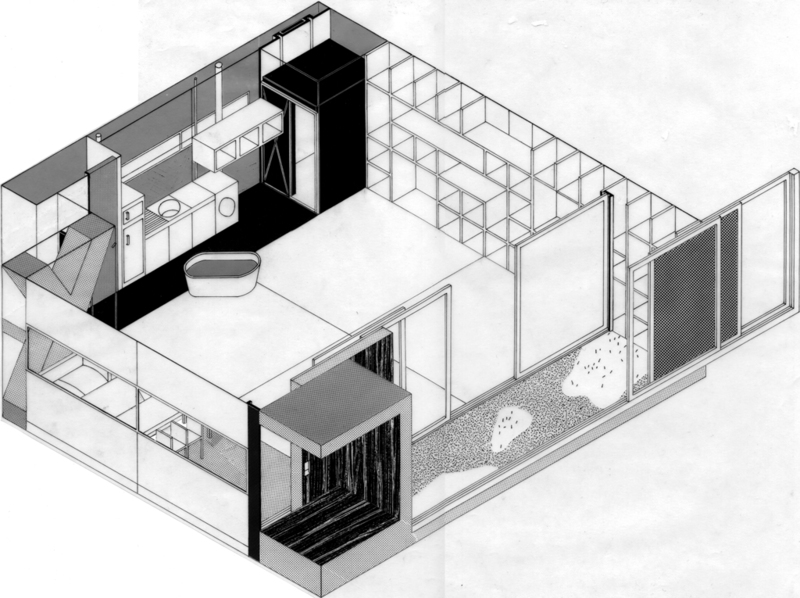 Excerpt from the jury’s report: The reasoning, on the part the authors of this proposal, for the modern or future collective house and the relation between the individual and the group is both well-founded and fanciful. Though not entirely easy to decipher – there is an appealing freshness about the building’s sculptural design. Open international competition for a sports center in Tensta, Stockholm, Sweden. Proposal by UiD/Henrik Valeur, Fredrik Fritzson, Jonas Ruthblad and Søren Chr. 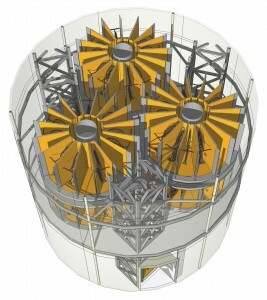 Madsen in collaboration with consulting engineer Ole Vanggaard. Planning tools developed by UiD. We offer instruments for establishing planning processes that engage all of the parties involved throughout the entire sequence. The objective of parallel processing is not only to democratize the planning process, but also to let mutual understanding and inspiration generate results, which are more than the sum of the individual interests. Development project for youth housing by UiD/Henrik Valeur, Fredrik Fritzson and Søren Chr. 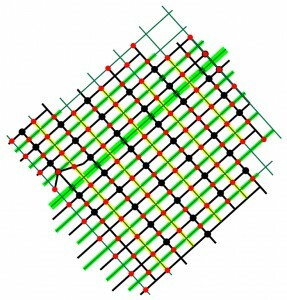 Madsen in collaboration with consulting engineer Ole Vanggaard. The RTL flat is defined as the void between 2 deep partition walls, which contain all the tenant’s items, devices and equipment. The walls can be shifted sideways. So, instead of many smaller spaces with specific functions, this dwelling is a singular, dynamic space with a function momentarily determined by the equipment selected from the walls. Pull out the bathtub and the TV set on a Sunday afternoon and the dwelling is a TV bath. 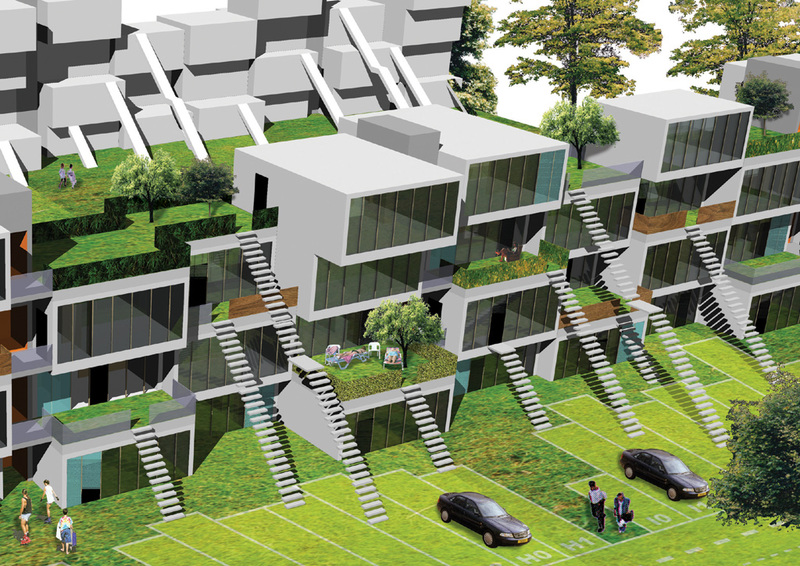 Development project for mixed housing by UiD/Henrik Valeur, Fredrik Fritzson and Søren Chr. Madsen in collaboration with consulting engineers Ole Vanggaard, Henrik Almegaard and Bo Andersen. 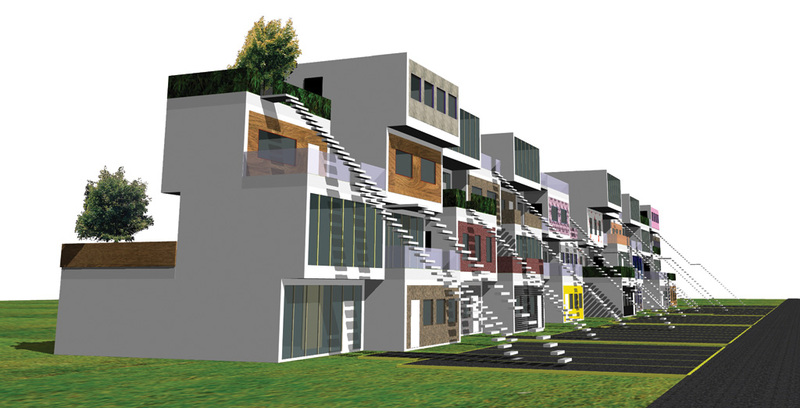 Which dwelling types best comply with contemporary resident demands? Most people prefer detached houses, even though they might find the neighborhood boring! They think the city is more exiting, but the flat in a common high-rise building does not offer much individuality or privacy. 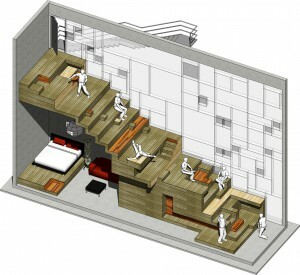 Is it possible to imagine a flat in the city with the qualities of the detached house? Open competition for a housing estate in Lyngby-Taarbæk, Denmark. 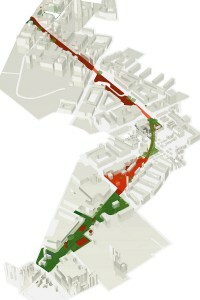 Proposal by UiD/Henrik Valeur, Fredrik Fritzson and Søren Chr Madsen in collaboration with consulting engineers Ole Vanggaard, Henrik Almegaard and Bo Andersen. All Garden Flats are designed according to the same principles in a limited number of typologies. They can vary in size from the small single flat with a small garden to the large family flat with a large garden. 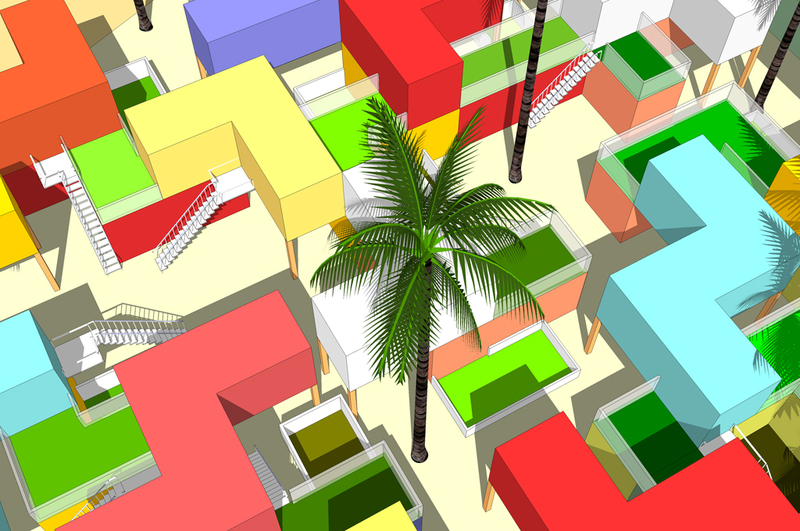 The different locations and combinations of garden and flat make every dwelling unique. Open competition for the Nørrebro Park in Copenhagen, Denmark. 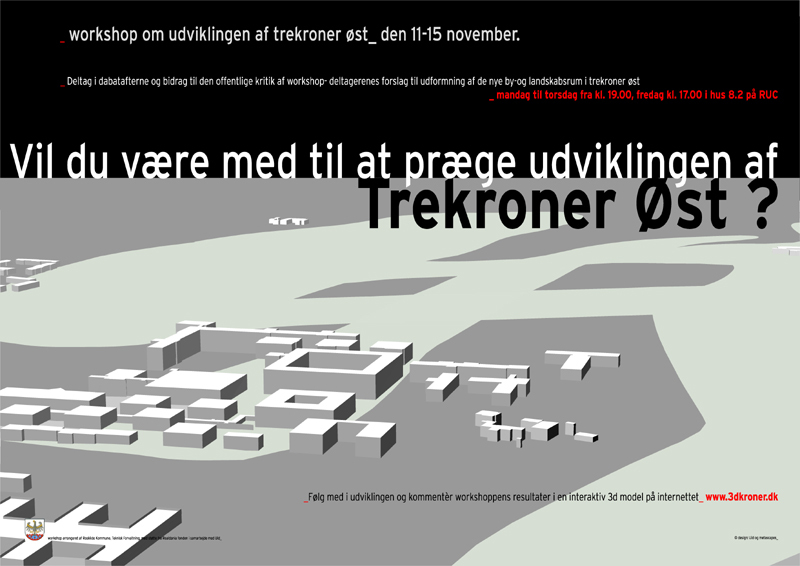 Proposal by UiD/Henrik Valeur and Fredrik Fritzson. The 21st century park must be adaptable to diverse and changing demands from different groups of users. Thus, the Minority Park is divided into individual pieces with sizes and content that can continuously be altered. Development project for office spaces by UiD/Henrik Valeur, Fredrik Fritzson and Søren Chr Madsen in collaboration with consulting engineers Ole Vanggaard and Jeppe Steen Andersen. Companies are downsizing, expanding, merging …The constant flux of the market-economy makes flexibility a key requirement for modern office space. Tele-workers occasionally bypassing the company they work for, free agents employed for a brief period of time and employees working in project groups – all increase the need for new dynamic modes of spatial organization. But the modern office space should not only be flexible and adaptable to new forms of organization, it should actively provoke change. Europan 7 competition on urbanized edges in Can Solé, Barcelona, Spain. Proposal by UiD/Henrik Valeur, Fredrik Fritzson and Søren Chr. 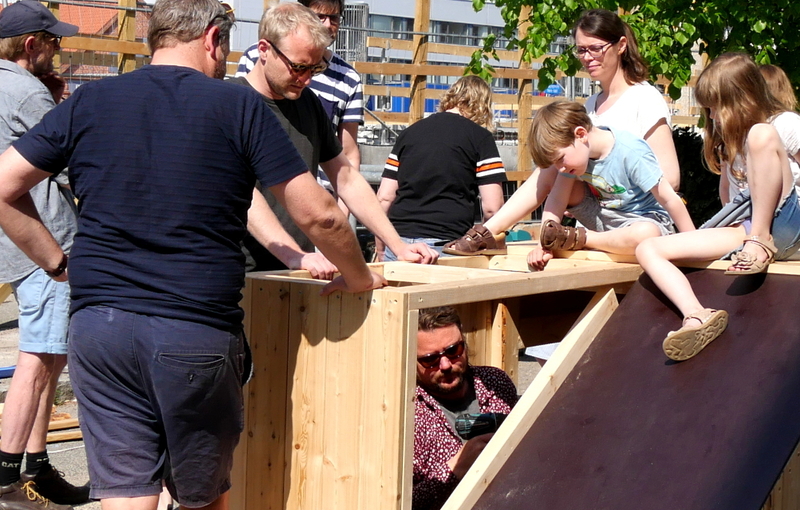 Madsen in collaboration with consulting engineers Ole Vanggaard and Jeppe Steen Andersen. Whether it is a private home or a company office, most people like to personalize their immediate surroundings. Architecture generally makes little room for this, since architects are obsessed with finding the perfect solution. But perhaps architecture does not have to be about perfection. 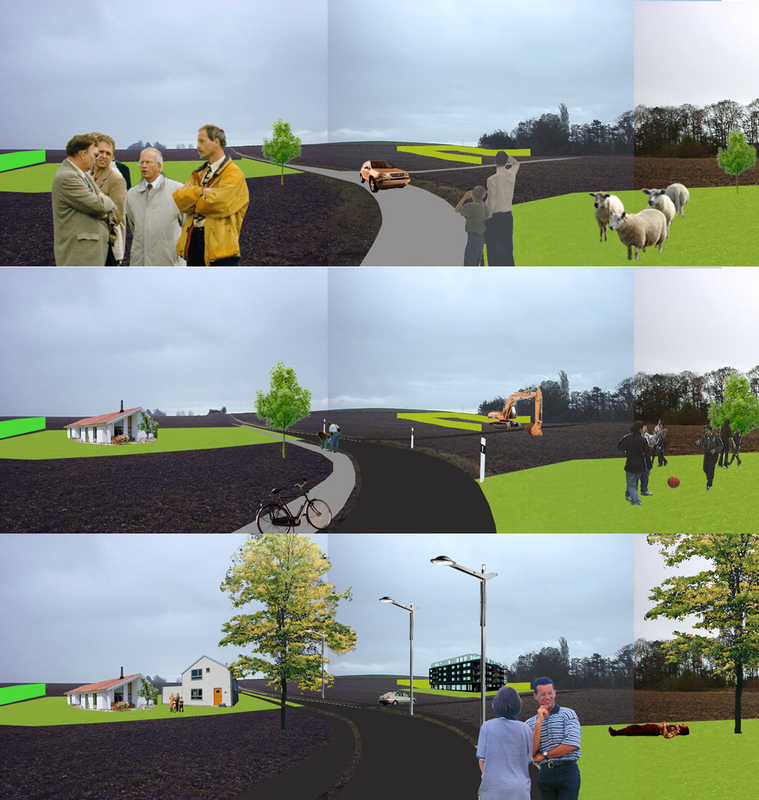 Conceptual layout of Trekroner Park Road in Roskilde (Denmark) by UiD/Henrik Valeur and Fredrik Fritzson, sub-contractors to Cowi and Park & Vej, Roskilde. Commissioned by the Municipality of Roskilde. Instead of constructing a new road in stages, of fully paved and elaborated segments, the entire road can be laid out as a simple dirt road structuring the landscape of the future urban development area. Various solutions in terms of lighting, paving and security can be tested concurrently and the road can be gradually upgraded to the required standard, step by step as new residents move in. Vision for the Harbour of Nyborg by Henrik Valeur. Commissioned by the Danish Arts Foundation. The flatness of the sea lets your longings travel unhindered. Digital planning tool developed and designed by UiD/Henrik Valeur in collaboration with metascapes.dk. Commissioned by the Municipality of Roskilde. 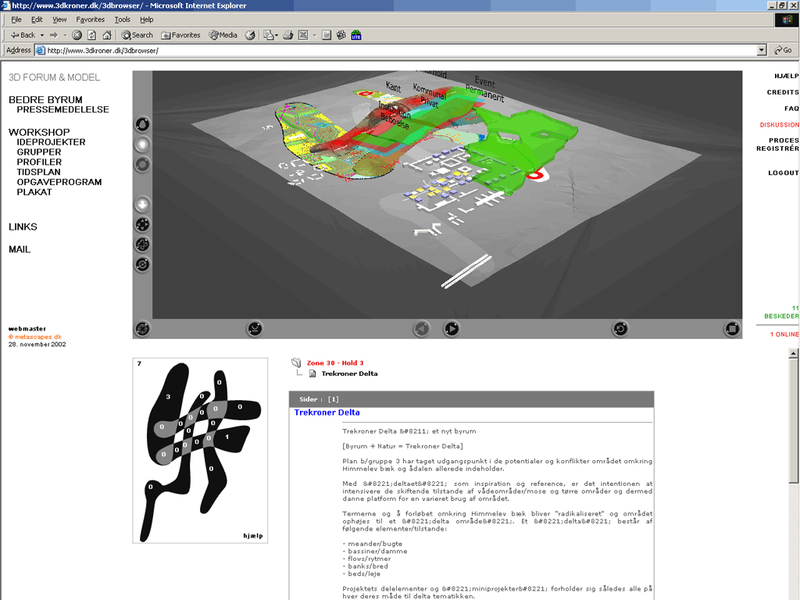 The planning-process is made public through a web-based 4D+ model. The model consist of a 3D model which is continuously updated (4D) with new proposals, and a discussion forum (+) enabling an ongoing dialogue between planners and users. Process management for the development of Trekroner Øst in Roskilde (Denmark) by UiD/Henrik Valeur and Dan Stubbergaard in collaboration with the Technical Administration, Roskilde. Commissioned by the Municipality of Roskilde. 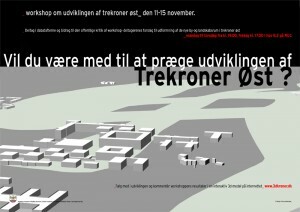 Participating architects: COPENHAGENOFFICE, KOLLISION, NORD, PLOT and UiD. The planning process of Trekroner Øst differs from normal practice in the way that the landscape is being planned prior to the design of the buildings, with the intention that the landscape is to inspire and influence the subsequent building design. The initial project ideas were generated in a workshop, by groups of people representing a broad variety of interests. Interactive planning game for the Öresund Region (Denmark-Sweden) by CoMa/Henrik Valeur, Fredrik Fritzson and Bernhard Snizek. Restricted international competition on the Future Art Institution for Hotel Pro Forma in Copenhagen, Denmark. Proposal by PUSH/Christophe Cornubert, UiD/Henrik Valeur (urban worlds) and Michael Heim (virtual worlds) in collaboration with engineering consultants Ove Arup & Partners and theatre consultant Bill Balou, Los Angeles. Excerpt from the jury’s report: The Jury appreciated the project’s bold, descriptive and visionary tone, revealing many innovative approaches and stunning imagery. Open international prize competition on the Future Art Institution for Hotel Pro Forma in Copenhagen, Denmark. 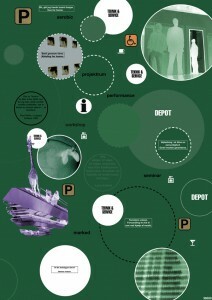 Proposal by UiD/Henrik Valeur and Bent Poulsen. 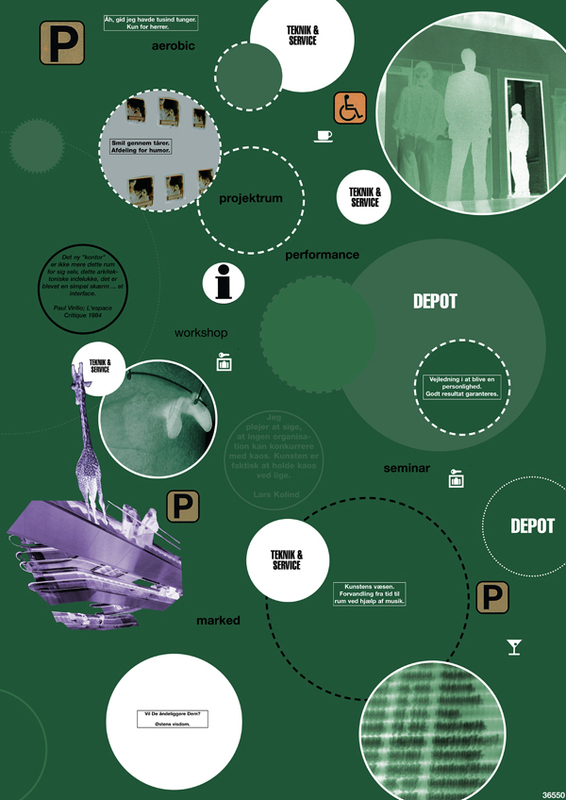 Diagrammatic proposal for an open environment capable of instant reorganizations. An environment in which the traditional role of the creator, actor and spectator may be confused, and in which facts and fantasies may dissolve into one another. Open international competition for the city-related harbor areas of Aarhus, Denmark. Proposal by UiD/Henrik Valeur, Søren Chr. Madsen and Anne Katrine Hornemann. A reorganization of the infrastructural network, to meet the need for evermore rapid and effective means of communication. Along with a set of individual strategies of territorialization, accelerating the already ongoing process of urban fragmentation, to satisfy the growing demand for individuality. 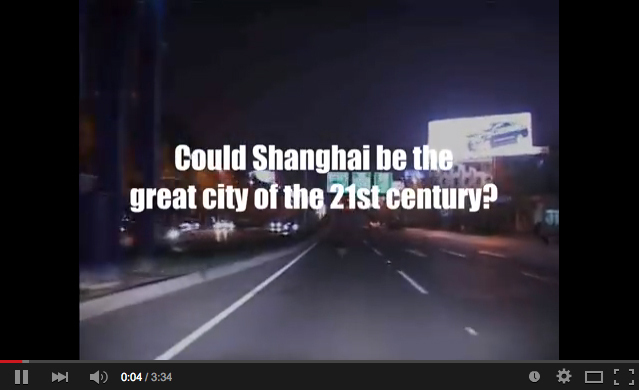 Open prize competition on the Future of the City. Proposal by Irma+/Henrik Valeur and visual artist Mette Vangsgaard. Collages visualizing an urban future in which we will be able to sample the trivialities and exceptionalities of everyday life in much the same way as the amateur composes his or her own music on a computer synthesizer keyboard at home. Proposal for conversion of a vacant industrial building in Rødovre (Denmark) by Henrik Valeur, set designer Thomas Kolding, sculptor Jens Jørgen Poulsen and visual artist Mette Vangsgaard. Commissioned by the Municipality of Rødovre. Excerpt from article in Politiken by Libbie Fjelstrup: […] a very ambitious proposal, for the conversion of the Coffee Tower into an art building with film and theatre facilities, studios for lithographic artists, set designers, visual artists and architects, a framework for seminars and workshops and a number of apartments for visiting foreign artists. Open competition for a site south of Køge Harbor, Denmark. Proposal by UiD/Henrik Valeur, Uwe Wütherich, Ivan Ikhlef and Victor Tenez Ybern. Detached mega-hybrids, randomly placed in a fluid landscape of surfaces in motion. To be erected on the grounds of the hypothetical synergies expected to develop as a consequence of a constant internal transition of different programs and of various kinds of traffic flows. Open competition for flexible housing in the Ørestad, Copenhagen, Denmark. Proposal by UiD/Henrik Valeur in collaboration with consulting engineer Ole Vanggaard. Further developed with Søren Chr. Madsen, 2000. 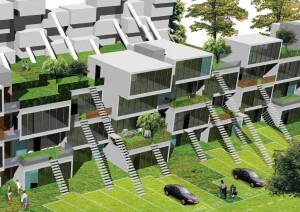 Excerpt from the jury’s report: The jury wishes to commend this proposal, because it has decisively challenged the jury’s comprehension not only in regard to the notion of flexibility but also in regard to what a future form of living could be – both socially, organizationally and strictly architecturally. The overall concept, the treatment of the site as well as the principles of spatial organization and construction conjure up a metropolitan universe of living, aimed at a youth culture. Open international competition, in 2 stages, for the University of Copenhagen – Faculty of Humanities, Denmark. Proposal by UiD/Henrik Valeur, Fredrik Fritzson, Bjarke Ingels, Bent Poulsen and Uwe Wütherich in collaboration with landscape architect Camilla Hjerl and consulting engineers Ole Vanggaard and Buro Happold. Excerpt from the jury’s report (stage one): The project […] seeks to create a new reality for the university […] With its numerous layers of identity and use the overall structure can be seen as a place where dialogue and concentration meet. Extracts from the jury’s report (stage two): As a whole, this entry can be seen as a contribution to the discussion of the university of the future and ways in which planning can actively intervene in a building project which is to be developed over an extended period of time. Europan 4 competition for the revitalization of a residential district in L’Hospitalet, Barcelona, Spain. Proposal by Henrik Valeur in collaboration with Blanca Ballesteros and Monica Reyes. A 300 meter long structure of stacked and interconnected tracks for riding, strolling, cruising and jogging, supporting sliding social programs behind a facade of deformed glazing, veiling and unveiling parts of the many plays within, that one may choose to actively participate in. Open competition for a new entrance to the Zoological Garden of Copenhagen, Denmark. Proposal by Henrik Valeur. Jury’s comments: The small – and rather inaccessible – project resembles an elevated landscape, through which a vigorously formed passage is cut out. The proposal is praised for its artistic nerve. International idea competition, Los Angeles, USA. Proposal by Henrik Valeur. 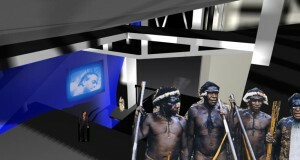 International idea competition, Austria. Proposal by Henrik Valeur. A multitude of spaces for a split personality.